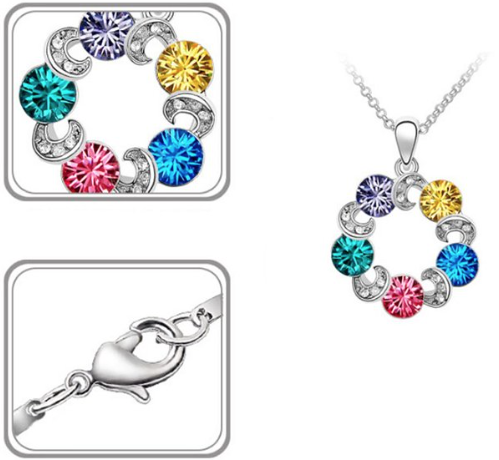 Crystal Circle Pendant Necklace Only $4.19 Plus FREE Shipping! You are here: Home / Great Deals / Amazon Deals / Crystal Circle Pendant Necklace Only $4.19 Plus FREE Shipping! Multi color crystal necklace works with all your outfits! 40cm length chain is perfect for hitting your collar bone to display in an open collar or v-neck. Also available in same color crystals! The Crystal Circle Pendant Necklace Only $4.19 Plus FREE Shipping!